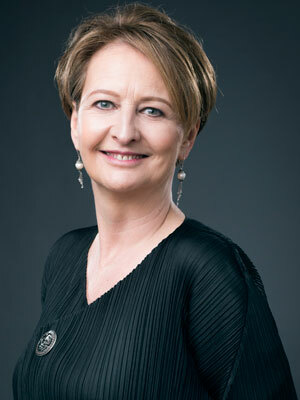 Edwina Dunn, best known for pioneering Tesco Clubcard, is a passionate campaigner for STEM, as well as a prominent advocate for female role models. As CEO of data sciences company Starcount, Edwina understands the importance of the digital sector and believes that tapping into the female talent pool is essential to progressing Britain’s prosperity. Through her position as Chair of Your Life, she is campaigning to actively inspire schoolchildren with the exciting opportunities available by studying maths and physics at A-level. Edwina, we’ve spoken to you before about your work as Chair of the Your Life campaign. For those readers who missed it, please could you give us a recap on your career to date and how you ended up in your current roles? I started my career at analytical software company CACI, where I met and married my husband, Clive Humby. In 1989 we founded our own company, Dunnhumby, which created the Tesco Clubcard in 1995. We took data generated from retailers’ check-outs and turned it into bespoke marketing intelligence; We began working with Tesco and in 1995 and helped to transform the business with the creation of the Tesco Clubcard. Fifteen years later we sold our final stake in the business. I am now CEO of digital insight business Starcount. Starcount uniquely, and dynamically, measures the global tastes and trends of 1.7 billion people across 12 of the world’s largest social networks, before applying a progressive view of data science to help brands navigate their social media journey. In 2014 I was approached to become founder and chair of Your Life, an industry-led and Government-backed organisation aimed at transforming people’s attitudes to studying maths and physics. Additionally, I look after The Female Lead – a campaign that champions a diverse range of female role models, promoting the voices and experiences of women from around the world and using these stories to support the life and career aspirations of young women. 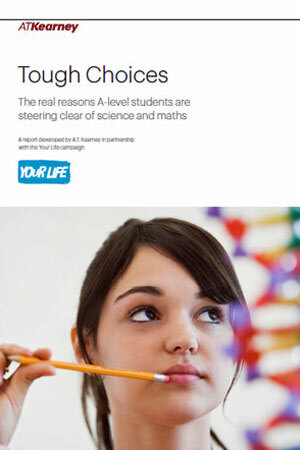 Please can you talk us through the Your Life Campaign, how it was set up, its progress to date and how the statistics are changing for the number of girls choosing subjects like maths and physics at A-level? Your Life was initially set up by the Department of Education to tackle the well documented but growing challenge of keeping students in STEM post GCSE. We are now an independent community-interest company and backed by an inspirational group of world-leading businesses in the STEM space with the very clear objective of getting more children studying maths and physics at A-level. With so many jobs of the future requiring tech and digital skills the problem has been becoming more acute, with the shortfall in STEM workers at least 40,000 a year and growing, according to the Campaign for Science and Engineering. Our ultimate goal is increasing the numbers of young people studying these subjects post-16 by 50% by the end of 2017. 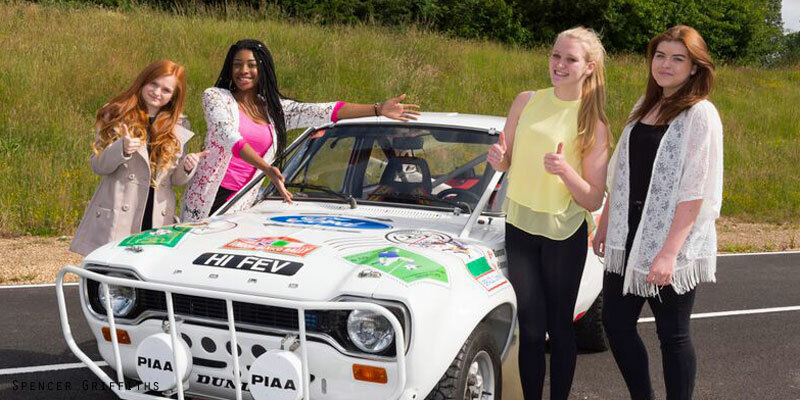 The campaign prioritises offering experiences and information to enable young people to make informed subject choices post-16, inspiring them to study maths and physics as a gateway into wide-ranging careers whilst also triggering employers to recruit and retain that talent. Some of the key campaign pillars include: A year-round campaign of activity engaging pupils and schools with STEM employers and careers, including the Best School Trip initiative, the Formula 100 schools competition, an in-house Your Life digital content team producing a YouTube Channel and a programme of research to understand more about how to tackle the UK STEM skills crisis. There is a particular challenge with girls. Only one girl in five is taking two STEM subjects and a shocking one in 31 taking maths plus physics. We recently published the results of a detailed study on the subject which was carried out by AT Kearney called Tough Choices and found that this was very much a secondary school phenomenon. It revealed that among students coming in from primary school, 75% of boys and 72% of girls are interested in STEM and enjoy it. By the time they sit A-levels, only one student in four is studying two STEM subjects and one in 11 is studying maths and physics. The key dropout points along the STEM journey are different for boys and girls. Boys start to drop out as they approach their A-level subject choices; after that they progressively opt out of STEM. Girls on the other hand start showing lower aspirations for STEM early in their secondary school career. This is what we have to change. There has been some advice suggesting pupils should keep studying maths up to A-level even if it isn’t their strongest subject and where they are unlikely to achieve the highest grades. To what extent is this in the best interests of pupils? When moving from GSCE to A-level, students fear that it’s harder to get a good grade in maths or science, with the fear of failure again more prominent among girls. The fault lies with systemic discouragement for students to take the subject. We are increasingly measure-driven in our school system and Tough Choices also outlined the relative difficulty of subjects showing a clear disparity in the ease of getting top grades in different subjects. It’s not a level playing field and data is published that almost exclusively focuses on grades, with the subject an irrelevance. But I think businesses too are “guilty” of focusing too closely on grades, rather than looking at the subjects studied. Industry needs to adapt its hiring procedures to reflect subject choice – not all subjects should be weighted equally. We are all guilty of being in love with the grading system. Please can you tell us about UTCs, how they are changing the way maths and other subjects are taught, and how innovative teaching methods can help keep girls engaged? We are facing a very real gap in science, engineering and other technical disciplines and we need more talented young people, especially girls, to fill the roles employers need to be able to compete globally in the future. University Technical Colleges (UTCs) were set up to bridge this gap and offer 14-18 year olds a new type of education that combines academic, technical and practical learning in science, engineering and technology. They are a type of secondary school, led by a sponsor university. The sponsoring university supports the curriculum development of the UTC, provides professional development opportunities for teachers, and guides suitably qualified students to foundation and full degrees. I’m a trustee of the Baker Dearing Educational Trust, which was set up to develop and promote UTCs. I think they are an important part of the solution to the challenges we face where employers and educators are working together to best equip our future work force. At the recent budget many interpreted the Chancellor’s comments to mean that maths would be made compulsory up to A-level, but we understand now this isn’t the case. For those outside the education sector, please can you clarify the changes? 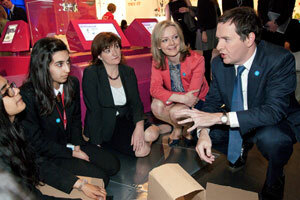 The Chancellor announced in the Budget that he was going to look at teaching maths to 18 for all pupils. In the subsequent White Paper the Government called on Professor Sir Adrian Smith, vice chancellor of London University and former president of the Royal Statistical Society, to assess the feasibility of the initiative, which aims to ensure “the future workforce is skilled and competitive”. So I think the outcome and how it might be implemented is unclear at this stage, but I think any initiative that keeps a focus on maths is to be welcome and it will be interesting to see how the plan develops. I think culturally we have a real problem in this country in that it’s seen as acceptable to not do numbers, however no one would ever admit to being illiterate. Just last week for example Prince William admitted to some Indian students that he was rubbish at maths, and Gordon Brown also quite famously said the same to school children in Manchester. This was when he had been in charge of the nation’s finances for 10 years! Your background is in data – how does this interface with maths and why does this open up some many career possibilities? We are in the age of ‘big data’ with an unprecedented amount of customer insight available across so many different industries. The unstoppable rise in social media usage is accelerating the potential for insight, with our rapidly growing growing digital footprints. But we have barely scratched the surface of what is possible. Data science is the key to unlocking this door with a grounding in maths the key component. At the moment companies are focused on what people are saying but it’s much more powerful to look at how they interact, who they’re connected with and what this tells you about their interests and motivations. It’s like the “body language” of social media and it’s going to change everything. The next generation will power the development of this. Maths skills will be critical. Several corporates have had to withdraw diversity campaigns aimed at encouraging girls into STEM amid controversy due to fierce criticism online and via social media. How can organisations strike a balance between creating relatable campaigns aimed at girls without fear of the accusation of being patronising? It’s a real challenge. I’m lucky that I have had a very good career and started out in a business that was very encouraging of women, and gave me a fantastic platform to learn entrepreneurial skills. My leaders encouraged me to make my own world, and to create a business from nothing. But this was unusual in the 80s, where there was a lot of sexism. In term of recruitment we still have big challenges in the world of STEM. You have to ask yourself the question, how many female role models can young people (especially girls) spontaneously quote, other than their direct family members versus boys? So it’s absolutely right that companies are looking to encourage more women but how you go about it is key. On The Female Lead our approach is to celebrate women’s achievement, endeavour and diversity. Our approach is simple. We aim to make women’s stories more visible, and to provide positive role models for future generations. By making successful women more visible we think this will make a greater impact than anything else. 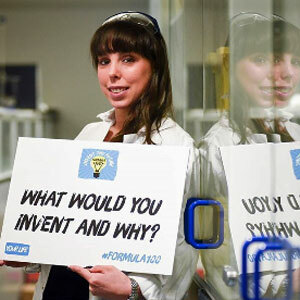 Similarly we have a series of really impressive female role models as ‘ambassadors’ for Your Life, people like engineer Roma Agrawal and plasma physicist Melanie Windridge. The phrase ‘role model’ is used a lot but I think these more than anything can help women to break through in STEM industries seen before as male dominated. What is coming up next for you and Your Life? Your Life is in a really exciting place. We are 18 months into a three-year campaign and we are starting to see some real traction in our campaign. We have just won £150,000 in funding from the Careers & Enterprise Company to double the number of Best School Trips we can deliver around the country showing students the reality of STEM careers. We know after these trips 85% of pupils say they now want to study maths at A-level. Meanwhile we have just gone through 150,000 views for our YouTube channel directly engaging with 14-16 year olds and we’ve developed a new content strategy engaging the audience across multiple platforms. We are also running a big event at the London Velodrome as part of London Tech Week to introduce children to the jobs of the future and we are developing a tool to directly engage them around which careers they should be considering. We will continue our laser-like focus on taking the message that A-levels in maths and physics have the power to transform life chances. It’s something I’m incredibly passionate about.